And boy.. is that an understatement! It’s been over 2 years now since the UK voted (albeit narrowly) to leave the EU and we await the biggest change in a generation in the shape of Brexit when it (supposedly) comes into force on the 29th March 2019 – bringing with it varying degrees of uncertainty for what the future holds for both the UK and Europe. Whilst Brexit remains a leading concern on everyone’s agenda, different challenges still await both the private and public sectors. In the private sector, digital transformation continues to move at pace with ongoing regulatory changes. 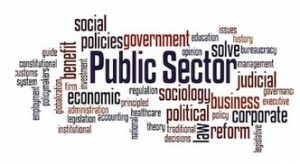 In the public sector, constant challenges remain in the NHS whilst for local authorities, the challenges are predictably in social housing, social care and revenue generation. The overwhelming sentiment is that businesses and other organisations in general are woefully unprepared, be it for Brexit, digital disruption or even the new data protection legislation that actually came into force in May 2018, namely – GDPR (General Data Protection Regulation – see below), Have you embraced this? Not that you really have much choice of course. Organisations now (by law) need to keep records of all personal data, can prove that consent was given, show where the data’s going, what it’s being used for, and how it’s being protected. Accountability is the new watchword! Is your customer base static – or reducing? Why? Is this because of increased competition, your offering isn’t attractive enough, your pricing isn’t right or a number of other reasons? Customers are your lifeblood – lose them in sufficient numbers and your business will only decline – so it is a constant exercise to research, analyse and understand your customer base and be proactive in ensuring that your product / service offering hits all the ‘sweet’ spots, provides your customers with an attractive offering, and (most importantly) keeps them coming back. Differentiation is the key to success – to always pre-empt the competition and ensure your USPs deliver – time and time again! CHANGE… Is this affecting you? 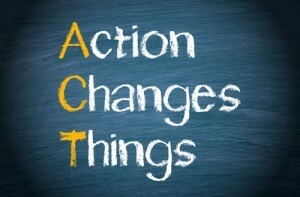 Are you looking to change things? Does your current business model need up-dating? Are you currently thinking about or perhaps having some internal discussions about the current status of your organisation? More importantly perhaps, how should you begin the process of establishing where and how change could be enacted that would deliver real benefit to your organisation? And crucially… how do you establish the processes that would need to be undertaken to achieve all of this? Can commercial models address the funding gap? In the public and non-for-profit sectors, we’re including here the NHS, Central and Local Government, Social Housing and Education. It is likely that NHS will provide the most opportunities with Central and Local Government following closely behind. Priority areas for NHS improvements include performance management, better use of data & technology, and driving on-going efficiencies. There clearly needs to be more strategic leadership together with the ability to motivate staff at the executive level. For example, in determining how NHS performance targets could be achieved, this should be through supporting greater improvements in clinical accountability rather than just more management or improved regulations. In this respect, enhancing patient feedback and creating systems which allow more open access to data are also vital. Whilst priority areas for concern in the NHS are mirrored across the sector, perhaps most acute of these is in social housing. Complaints about housing associations are on the rise across the country and the ombudsman’s processes are perceived by many to be too complex and slow to respond. Performance management and better use of data and technology to spot the worst offenders in breaching social conditions are much needed in the sector. As is often the case in the public sector, changes in funding tell another story. Local authorities and housing associations (for example) are turning more and more towards commercial models to generate funds – but much more work is needed to determine how to make such new models sustainable in terms of longer-term revenue generation. With the central revenue support grants for local authorities scheduled to end in 2020, only now are many turning their attention to how they intend to fill this funding gap. For some it will be ‘too little too late’ – whereas others are already well on the path to researching, identifying, developing and implementing new traded services and revenue generation models as they seek to achieve sustainable revenue growth. 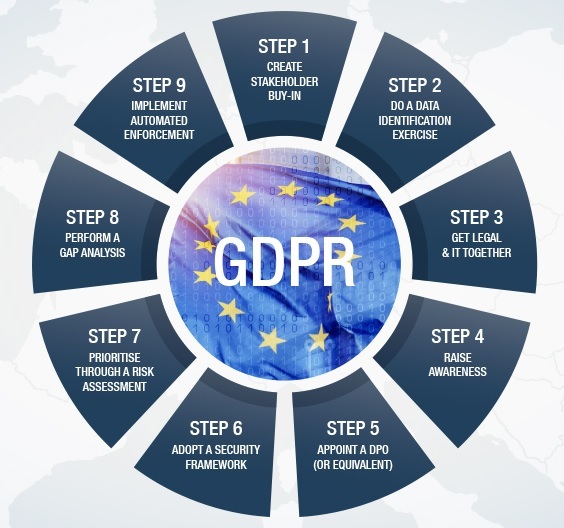 The General Data Protection Regulation (GDPR) is the result of four years of work by the EU to bring data protection legislation into line with the new, previously unforeseen, ways that data is now used. And this is now ‘LIVE”! This new legislation introduces severe fines for non-compliance and breaches, and gives people more say over what companies can do with their data. GDPR also makes data protection rules consistent throughout the EU and substantially expands on the definition of personal data to include items like an individual’s IP address. In future, organisations need to consider the impact of the changes that will have affected their operating model and they will also be responsible for educating employees on what is now required of them under the new act. Some business leaders have already summed up the best approach to the challenges presented by Brexit and GDPR by emphasizing the greater importance of the latter. In the private sector, managing Brexit’s impact remains a priority for next 12 months, with this being the biggest challenge for many businesses. This is closely followed by digital transformation which continues to move at pace but has a lower profile. Digital disruption will continue its rapid march and the potential reduction of regulations, because of the UK leaving the EU. The most notable challenges in the digital space are expected to be the emergence of 5G, advances in biometrics and cyber-attacks. These are significant, but more so for firms who have historically under-invested in IT infrastructure and security, as well as product and service development.